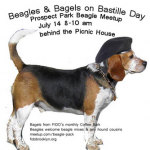 30 or so beagles partied for Bastille Day in Prospect Park. 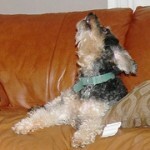 We blew a shofar to set off the baying and activate their inner beagle. 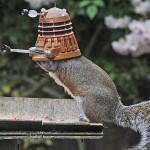 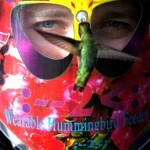 Chris Balcombe, a BBC props expert, enticed a gray squirrel to put on a Dr. Who dalek custume by putting some nuts inside it. 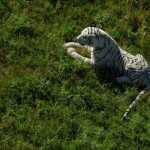 Police in Hampshire, UK, responded to reports of a white tiger in a field by sending in armored officers and a helicopter, only to find out it was a toy. 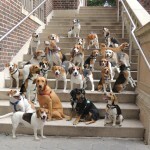 My beagles are looking smarter.